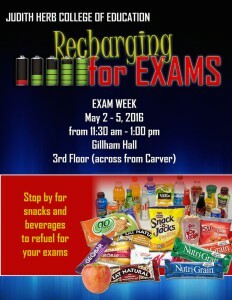 The Student Affair’s Committee of the Judith Herb College of Education is sponsoring a Recharging Station during exam week. 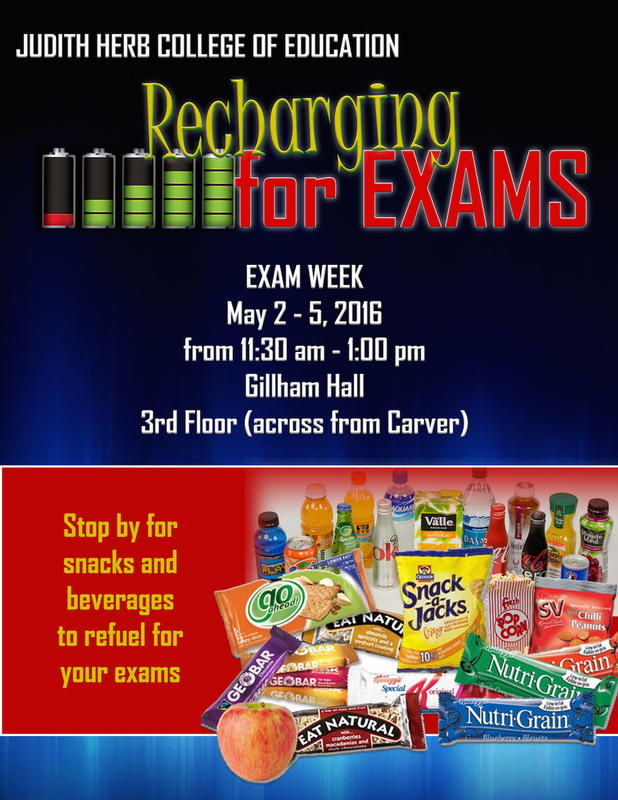 Stop by for snacks and beverages to refuel for your exams. Teach Toledo is an initiative to recruit local students to pursue the Associate of Arts Degree with a focus on Urban Education in a community-based, supportive environment that involves them in P-12 classroom experience from day one of their program, and provides them with content skills and knowledge necessary to be effective, dedicated urban teachers. The Start Now Scholarship is intended to give new graduate students a “helping hand” in financing the cost of their graduate degree program and is open to students who are admitted to graduate programs (M.Ed., Ed.S., or Ph.D.) in the areas of special education or early childhood education.